So I really really adored my vacation. But I really really missed cooking. Saturday I made a vat of marinara, which I didn’t eat till Monday, and two different kinds of banana bread. Then crazy struck again Tuesday and I made a borscht inspired venison stew in my crockpot plus a cheesecake for the office group lunch Wednesday. So I have created a lot of dirty dishes and lots of tasty treats in less than a week. Now some details on the stew. My mom makes this super yummy cabbage borscht. It’s so easy it almost feels like cheating. I used a lot of the same flavors in mine, it turned out so well I had to share! *Betty’s note – cabbage and tomato would go great in this too, I just didn’t have any around! If using cabbage, add it towards the end of cooking. Place all ingredients except lemon juice in crockpot. Add salt and pepper to taste before adding broth. I used no salt in this version as the broth had enough to flavor the dish. The broth will not cover everything, that is fine! 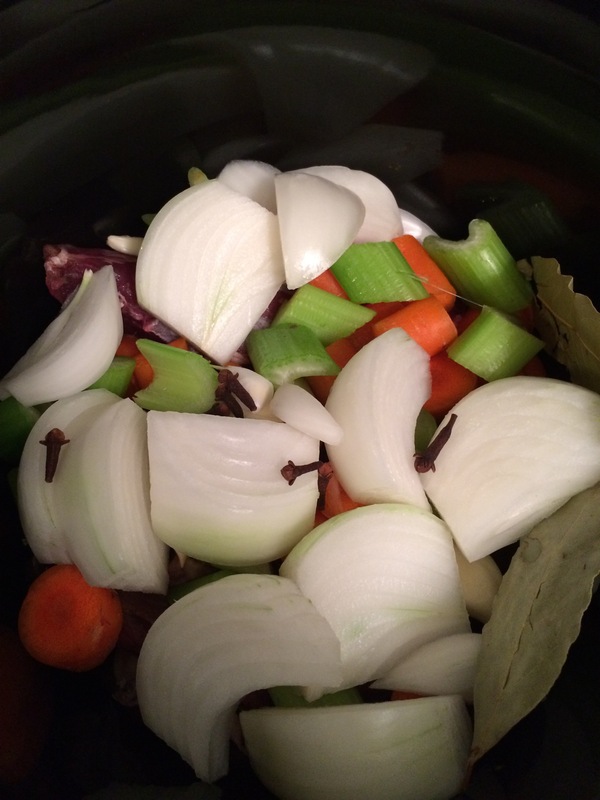 It will look something like this before you add the broth. 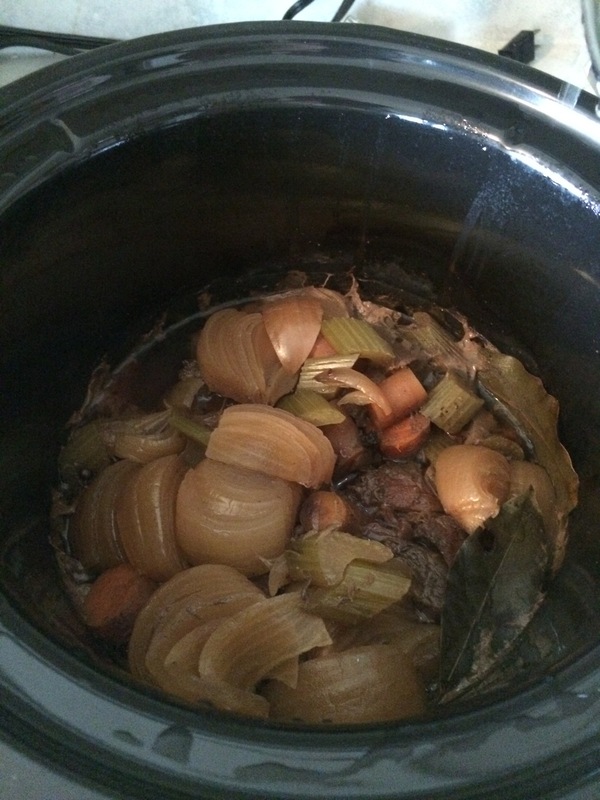 Set your crockpot to low, cover, and let cook for at least 6 hours. Mine went 9 and was perfect! When done, remove bay leaves and whole cloves. Using a fork gently shred the meat. This can be done right in the crockpot! Finish with a dash of lemon juice and serve immediately. A nice crusty bread would go nicely with this, or I served it with roasted potatoes. Okay… For those of us who don’t have friends who give them venison… Would beef be the obvious substitute? Yes! That would be a perfect substitute. It’s what Mom uses when she makes borscht.